The number of cases handled by the police for Road Traffic Act violations (limited to those involving vehicles other than light vehicles, etc.) committed by juveniles has continued to decrease after reaching 1,938,980 in 1985, and was 317,664 (down 3.3% from the previous year) in 2009 (Source: The Traffic Bureau, National Police Agency). Fig. 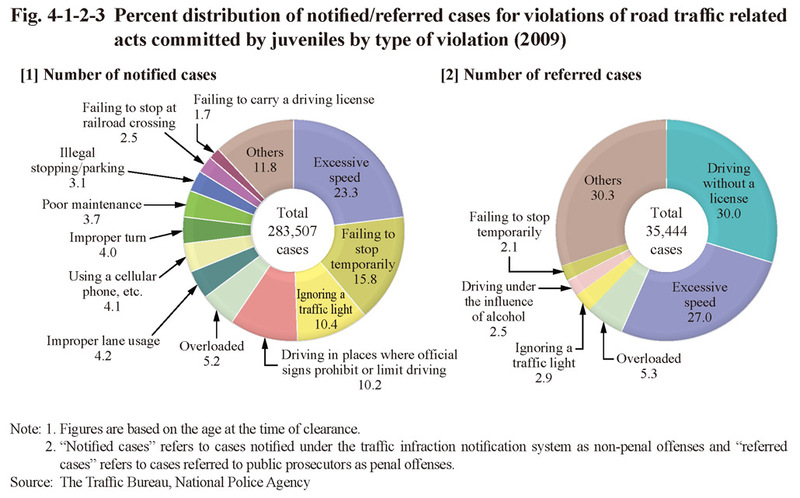 4-1-2-3 shows the percent distribution of notified cases (refers to cases notified under the traffic infraction notification system as non-penal offenses) and referred cases (refers to cases referred to public prosecutors as penal offenses) for violations of road traffic related acts by type of violation in 2009. 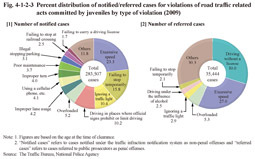 The proportion of referred cases was the highest for driving without a license at 30.0%, which was remarkably high when compared with that of adults (5.6%). Fig. 4-1-2-4 shows the number of hot rodders and hot rodder groups over the last 10 years. 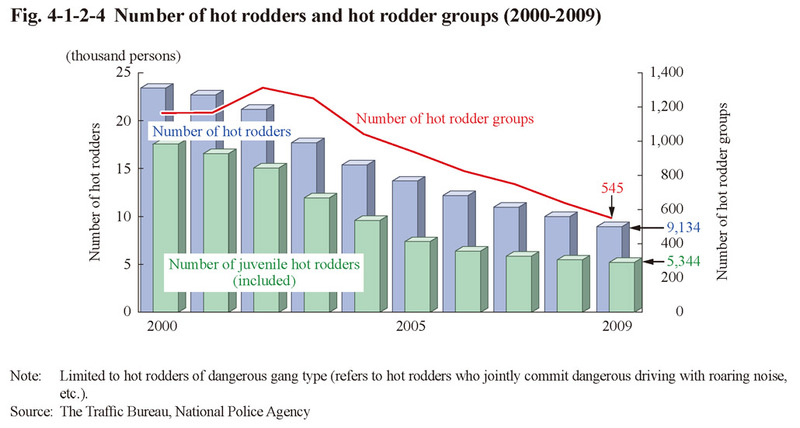 The number of hot rodders has been on a decreasing trend and the number of groups also decreasing since 2003.